As a business you want to know that your broadband will offer consistent speeds and impeccable security for your data ? using a dedicated leased line rather than a general line, can provide all of those guarantees. A leased line is a broadband line dedicated solely to your business so no-one else can use it. That means your download and upload speeds will be incredibly fast, and you will have a consistent bandwidth available all the time. Having your own dedicated leased line also provides your business with an incredibly secure and safe line for all of your business data as no-one else has access to it. The speed and reliability also means the staff don?t have to worry about downtime or unreliable connections so a leased line can also help to boost company productivity at the same time as offering security and high speed. Leased lines can achieve speeds of around 10gbps so are the perfect option for companies which have a high usage, offering so much more than even the best standard fibre optic broadband on the market. 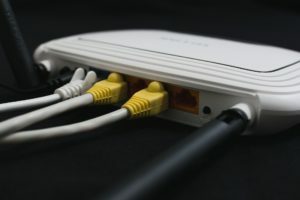 These lines can be used for business internet access, VPN and site-to-site connections, as well as carrying data and voice traffic incredibly securely. All of your connectivity requirements can be easily and securely met by leasing your own business broadband line. Leased lines are managed by the leasing company, ensuring a great service dedicated to meeting your company needs and because the line only serves your business, you won?t get the peak-time broadband slow down which can be so frustrating. With a leasing package, you are only charged for the bandwidth your company needs, putting you in control of the price you pay for your secure broadband services. You can also choose your broadband provider by using independent companies for your leased line, giving you much more freedom. Leased lines can also be scaled up, so you can start out with a smaller level of dedicated bandwidth and then if your business grows and you have more staff or more sites, you can increase your bandwidth accordingly, giving your business a lot more flexibility. Leasing agreements will come with guaranteed service delivery timings largely, meaning you know you have a dedicated support team to help out if there are any problems, and installation of the lines can be set up at your own convenience through your independent supplier. If you?d like to talk to the team here at Caelum Communications about options for a leased line for your business broadband then please do give us a call today.